Thousands of troops will be headed to the U.S.-Mexico border to meet President Donald Trump’s request to enhance security there, the Pentagon confirmed Tuesday. 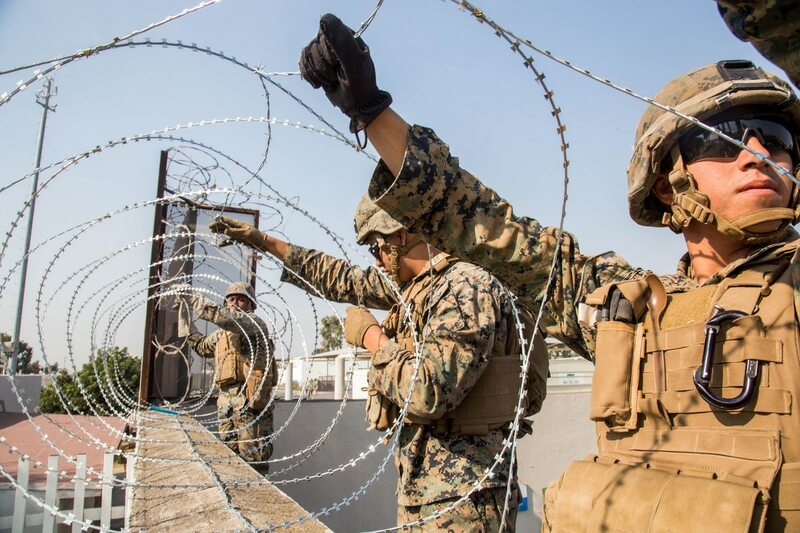 While no decision has been made on the exact number or make up of the troops, they will be tasked with adding more concertina wire to the U.S.-Mexico border and supporting surveillance, DoD said in a clarifying statement following Acting Defense Secretary Patrick Shanahan’s press briefing Tuesday. In that briefing, Shanahan said that DoD had informed DHS that the additional capabilities DHS was requesting would take “several thousand” additional forces to complete. But he did not confirm that that level of additional forces would be provided. More than 2,000 active-duty troops are still deployed there, months after President Trump said there was an imminent immigration threat. Later Tuesday, DoD sent a statement confirming there would be another large deployment. “As the Acting Secretary said, we are supporting our federal partners on the border and that mission has been extended until September. We are currently sourcing the units involved and there will be an increase of a few thousand troops. We will provide more clarity on the numbers when we have it," DoD said. The news comes just as the Chairman of the House Armed Services Committee. Adam Smith, D-Wash., questioned why active duty forces were still on the border at all. The current extension of active duty forces to the border runs through September.